Have You Spent One Day With The Creator? We listened to the first DVD, and we LOVED it! What is hitting me more than anything is the tender and loving heart of our God and how much John is speaking the name of Jesus Christ. That got completely lost in the later days of my former ministry. Truly a blessing! I just finished Session Two, and it was great. I believe I have already heard more in this class about Jesus Christ and his importance than I did in all of a previous class I took—and that one was really good. I just finished the ODWTC class, and words cannot express how grateful I am to God and our Lord Jesus Christ for making such an awesome presentation of God’s Word available to anyone who is searching for truth. I have been a student of the Word for 36 years and yet there were truths unfolded to me that I had never seen or heard. Thank you to all who participated in making this class a reality. I have a renewed excitement about what my Lord Jesus has done for me and will continue to do until he appears. I’m loving the class, and I’m feeling real connected with the rest of the Body by way of the spiritual movement I think this class will energize. I’m ready to see what we will all do with it! What if One Day With The Creator allows the Lord Jesus to minister to you in similar ways? What if it can do the same for others you know and love? Certainly that is worth the small financial investment to own it. Why not get your copy today—and ENJOY! Click here to order. Amidst all the “last days” prognosticators, there is one thing we do know for sure: we are closer than we have ever been to the Lord Jesus Christ’s coming for the Church. In the time we have left in this ever-more-evil age, I’m sure you want to see the Word reach people exponentially. So do I. For that to happen, we must reach quality people who will grow into a deep love for the Lord and make it an unwavering priority to teach others about him. As you read the following verses, consider that Paul, writing from a dungeon in Rome, knew that his life was about to end. Note his passion for his young protégé, Timothy, to carry on the spiritual legacy Paul had entrusted to him by proclaiming the truth he had been taught. 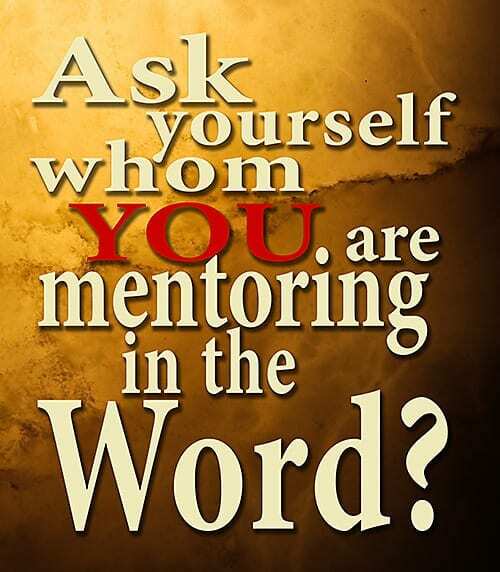 Then ask yourself whom you are mentoring in the Word? 1 You therefore, my son, be strong in the grace that is in Christ Jesus. 2 And the things that you have heard from me among many witnesses, commit these tofaithful men who will be able to teach others also. 3 You therefore must endure hardship as a good soldier of Jesus Christ. The hallmark of Christianity is salvation by grace through faith in the work of Christ. If we begin to grasp that grace, it will propel us to the attitude Paul had: “But by the grace of God I am what I am, and his grace to me was not without effect. No, I worked harder than all of them—yet not I, but the grace of God that was with me” (1 Cor. 15:10). One Day With The Creator is now available to you because someone did for me exactly what 2 Timothy 2:2 says. Then, with a lot of help from my friends, I’ve held on to what I heard, made it my own, refined it and expanded upon it, and am passing it on to others. I can’t say I’ve endured hardship like Paul did, but if it comes to that I pray I will do so with the fortitude he displayed. No doubt you are aware that in his continuing rebellion against his Creator, the Devil’s goal is to establish a one-world government whereby a relatively few people who worship him enslave the rest of the population. After the Lord takes up the Church to meet him in the air, Satan will finally accomplish that perverted goal. He is, however, already making great strides in that direction, but not by military war. Rather, he is waging an economic war in order to ensure that people earn as little as possible while working as much as possible and never getting out of debt. That way they have no time or energy for spiritual pursuits and no money to give to support the outreach of the Word. We know from 2 Thessalonians 2:1–7 (clearly exposited in The End Times class) that Satan cannot establish his rule on the earth until we Christians have been taken out. 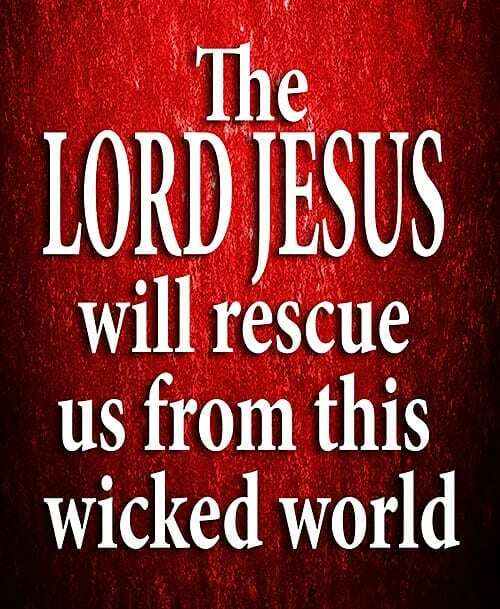 What the Bible does not tell us is how bad it might get before the Lord Jesus rescues us from this wicked world. It is imperative that we recognize both the urgency of the times and, correspondingly, the great opportunity we have to make what might well be one last assault on Satan’s kingdom. OUR GOD AND FATHER IS BIG ENOUGH to help us generate a spiritual explosion on this earth, and One Day With The Creator is a tool He can use to do so. The NCAA basketball tournament this Spring generated incredible interest across the USA. One of my favorite things about the tourney is to see the genuine camaraderie among young men of different races, and with very diversified tattoos. Since the first time they all stepped into that 94’x50’ rectangle back in the Fall, they became one in heart and mind to the end that they sacrificed their own egos for the sake of the team. Having played on many a team, I can tell you that, in the heat of battle, initially serious “personality conflicts” often dissolve into lifelong friendships. And they are playing a game for a temporal prize. Hey, we are on a mission from God. How much more should we have the kind of “I’ve-got-your-back” relationships we see in Paul’s life? Let’s do what it takes to really get tight with one another.